Hird has used one of its mobile cranes to lift a large Christmas tree into position at the Dove House Hospice in Hull. The crane, glass lifting and powered access specialist, which has its headquarters in Hull, carried out the work free of charge. Dove House Hospice is a charitable organisation that provides end-of-life care for people aged 18 and over who have an illness that can no longer be cured. Hird used its Grove GMK 3050 50-tonne crane to lift the 18ft tall 200kg Christmas tree into position at the hospice in Chamberlain Road. Hird Director Carl Norfolk said: “We were very pleased to have the opportunity to support Dove House Hospice in displaying their Christmas tree. 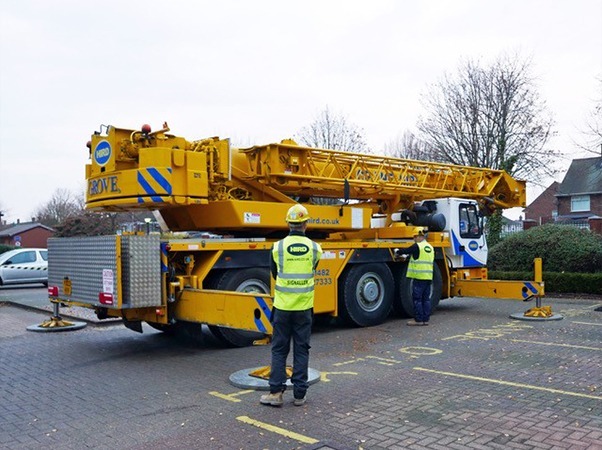 The Grove GMK 3050 mobile crane has a maximum lifting capacity of 50 tonnes – with a 38 metre five-section boom, and a maximum tip height of 40.1 metres. A lattice extension with lift points at 8.7 metres and 15 metres gives the crane exceptional reach. When it is not helping put up Christmas trees it is kept busy in a range of sectors, including steel erection, cabin lifting, ship building and maintenance, and facilities maintenance. 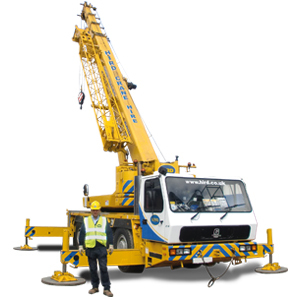 For more information about mobile crane hire services, call Hird today.